Larry Harvey and Rhonda Firestack-Harvey face federal drug charges for growing 74 marijuana plants on their property north of Colville. He was still drinking his morning coffee when they came speeding up the driveway and circled the house, assault rifles in hand. "They got out there like they were ready for war," says 70-year-old Larry Harvey of the state and federal agents who arrested him last year. "On went the cuffs. ... It's been downhill ever since." 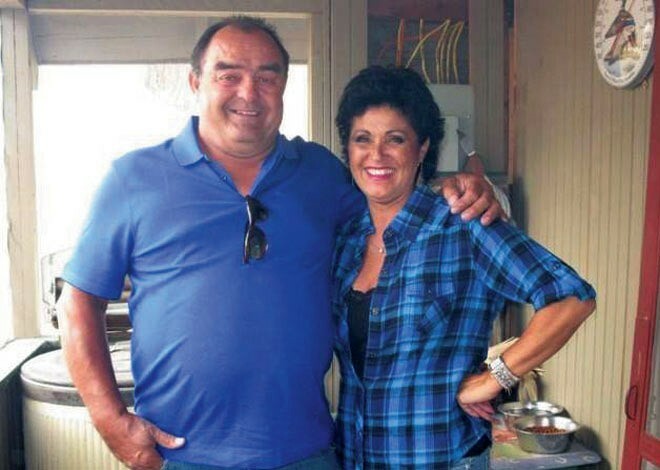 On 34 acres north of Colville, Larry and his wife Rhonda hunt, fish and grow a big garden. A few years ago, they started growing pot. Larry, who has several medical conditions including severe gout, says eating marijuana-infused cookies was the first time he'd felt real relief from his symptoms and been able to sleep through the night. Now Larry, Rhonda, her son and daughter-in-law and a family friend are facing federal charges for growing marijuana with the intent to distribute and possessing a firearm "in furtherance of a drug trafficking crime." In August 2012, state and federal officers served search warrants on the house, pulled the plants from the ground and seized the couple's SUV, motorcycle, guns and $700 in cash. They returned in February 2013, when they arrested Larry, who then spent 17 days at the Spokane County Jail, where he says his health quickly deteriorated. While the family argues that they were growing for their own medical use, the government argues that a vacuum sealer, plastic bags, digital scale and sales records found on the property are evidence of the intent to sell, according to court documents. The trial is set to begin May 12. Meanwhile, just 6 miles north of the federal courthouse is Washington's first legal recreational marijuana grow, operating with a state-issued license and subject to state regulations and state taxes. Fanning out around the courthouse are 18 other locations across the county where the state will soon license stores to sell recreational marijuana to anyone 21 and older. It's the cruel irony of the modern marijuana landscape: Even as Washington and Colorado have legalized the drug for recreational use, the effects of its status as a Schedule I drug under federal law continue to shake the marijuana community, including those who use the drug as medicine. Harvey says he believed his family was operating in compliance with Washington's medical marijuana law. That legislation limits patients to 15 plants each and no more than 45 per collective garden. Harvey says the family had doctors' recommendations and believed the 15-plants-per-person limit allowed the group of five up to 75 plants, rather than limiting them to 45 as a collective. Harvey says he wasn't thinking about the risks associated with breaking federal law and had never even heard of other marijuana growers being raided by the feds. "I live with my head in the sand," he says. "I don't take the newspaper. I live up there minding my own business." None of that will help the family now. State and local law cannot be used as defenses for actions that remain federally illegal, and the judge will not allow any arguments about Washington state law or medical uses for marijuana in this case. "This is absolutely a reality check that we are not out of the woods," says Hilary Bricken, a Washington attorney who represents medical and recreational marijuana businesspeople. "As we're getting closer [to the start of the recreational market], everyone on the eastside — and the westside — needs to be cognizant that the federal government is alive and well and watchful." Kari Boiter, the Washington state coordinator for the national medical marijuana advocacy group Americans For Safe Access, is working with the Harveys and their family on the case. Boiter says she knows federal law is not on the family's side, but she hopes public opinion is. The Washington State Liquor Control Board has taken the first step toward allowing recreational marijuana stores. Because each county and city will be limited to a certain number of stores, the state organized a lottery process, assigning numbers to each applicant for a retail license. Those with the lowest numbers get the first chance to pass final inspection and receive a retail license, which the board expects to begin issuing in July. Spokane County will be allowed 18 stores, with eight inside the city.